Many people have a misunderstanding that Dogen was not into koans because he has criticized some of the Rinzai teachers who use a systematic approach to studying koans as their curriculum. Dogen did not encourage what he called “ladder of development” Zen. For Dogen, there is no future time that is better then or more enlightened then right now. But this difference in pedagogy does not mean he was against the literature of Zen and didn’t use and know it well. In fact, he was the first person to bring the Blue Cliff Record to Japan. He found the book his last night in China, and he spent the whole night hand copying it. His version is sometimes called “the One-night Blue Cliff Record.” In this way, he was very intimate with the koans. In most of the fascicles in the Shobogenzo, there will be one sentence or a paragraph that refers to a koan, often several koans in each fascicle. In this fascicle, there are several references to koans. He uses this sentence to refer to Blue Cliff Record #3. The Sun faced Buddha and Moon faced Buddha are metaphors, which were first introduced in the Buddha Name Scripture. In that scripture, it explains that the Sunfaced Buddha is eternal and lives in the world for 1800 years or eternity- entire time and entire place. The Moon faced Buddha is one day of life, a 24 hour period. Moon faced Buddha is the life of the 5 skandhas. Master Ma’s answer encompasses both the absolute and relative. He could say both- I feel great from the absolute point of view and he can equally say he feels lousy and he’s sick from the relative point of view. Sun Faced Buddha and the Moon Faced Buddha, Dogen says, never change. 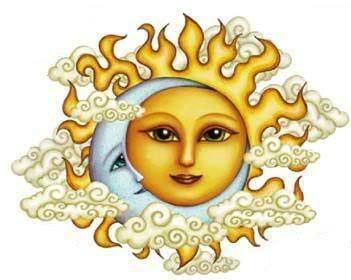 The statement that they never change is an “essence” type answer and yet the next sentence, Dogen says, The sun face comes out together with the sun face; the moon face comes out together with the moon face. Not one, Not two. Similar to his expression from the Heart Sutra which says; Form is emptiness and emptiness is form. Dogen replies and adds, form is form and emptiness is emptiness. The moon comes out in the evening, the sun comes out during the day and they never switch around. And yet both the sun and the moon are the expression of the bright jewel. When you are sick, that is the bright jewel, too. Our self-centered desires, our small self, does not want to be sick or die. But this great teacher is saying, “I’m okay. My moon-face Buddha is dying but my sun faced Buddha is living the eternal life.” May I have equanimity in directly facing life and death. What kind of people were the ancient emperors? How many times I have gone down into the Blue Dragon’s cave for you! Clear eyed patch robes monks should not take it lightly. I find this verse quite moving. The teacher who has been or can live in freedom is willing to go into the weeds and the mud and the Dragon’s Cave for his students and for all beings. This is the Bodhisattva Vow – a bodhisattva covered in mud. In order to work and help in the world of samsara, we must be like Jizo Bodhisattva going into Hell to help. 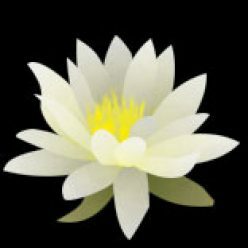 We will suffer bitterly by being in contact with the dukkha of the world. But this suffering is worth noticing! It’s worth enduring. Don’t take this lightly. We should get totally covered in mud, walking in the weeds with our fellow humans, in order to show them the way of freedom. Lastly, let’s investigate the line – Therefore Yakuzan said, “Even if I say that it is right in the sixth month, my family name is not Heat. Okumura Roshi says that this is a pun around the word “Heat”. The word for “heat” as in temperature and another word, which is used as a family name, have different kanji characters but are pronounced the same. Dogen uses this to make the same point as sun face and moon face Buddha. They never exchange places and yet they both are the bright jewel. Do not blur form and emptiness, family name and natural phenomena. It is like using the word “Dallas” as the name of a city and as a name of a person.